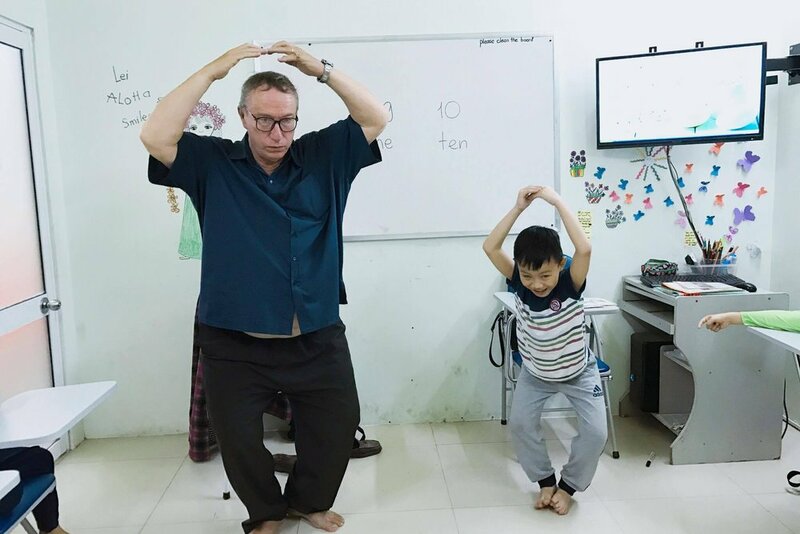 Our approach to English learning is fun and interactive. Our vision is our STEC students will be confident and competent employees and citizens who are fully engaged in the global society. To achieve this vision, our mission is to provide not only quality English language learning but also soft skills and cultural awareness to all our students. Our commitment is to provide opportunities for English language studies for all students in all economic circumstances. News Aug 30: Congratulations to Nguyen Vu Khanh Linh - Nina for being the outstanding student and Nguyen Le Hoang Anh - Anna for being the most improved student of class S3.45. News Aug 26: Congratulations to Hoang Le Bao Ngoc - Megan for being the outstanding student and Le Phuoc Thinh - Kai for being the most improved student of class PB4.44. News Aug 24: Congratulations to Trang Thi Ngoc Linh - Lynn for being the outstanding student and Vo Nguyen Minh Hoang - Bob for being the most improved student of class PB4.32. News Aug 24: Congratulations to Trinh Ngoc Kim Nguyen - Tracy for being the outstanding student and Ngo Tran Bao Anh - Ella for being the most improved student of class PB4.45. 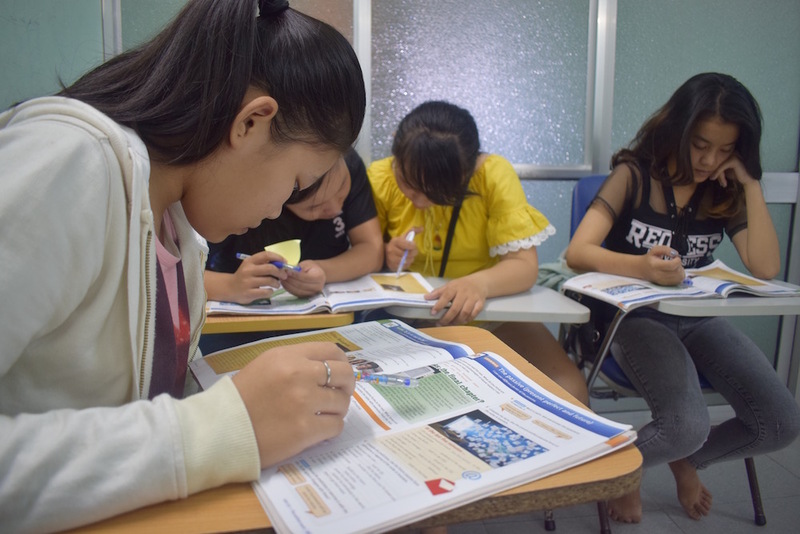 We have a wide selection of courses for students of all ages and skill levels and follow the curriculum as outlined by the Family and Friends ESL textbooks. English for Pre schoolers (ages 4 – 6) the golden age to start learning English language. English for Elementary Student Program is designed for students at the age of 7 – 12. English for Teenager Program will help student continue improving their English for all four skills of the language. Following STEC Steps, students will be prepared for an international IELTS exam after they finish the general English program and achieve B2 level for their English. Full scholarship placements have been offered to students who have special family backgrounds. STEC also provides several opportunities for the community to learn English, such as our extracurricular events, community English library, and staffing. STEC is always in the market for a passionate, enthusiastic English speaker who is looking to launch a career in ESL. Click here for more information. Check out some photos of our students having fun at STEC! We update our photo gallery weekly so keep an eye out for your child having fun. Check out some of our useful links and our word of the week to keep your mind sharp! The second definition provides a very informal, even rude, meaning that should be used only with close friends. It is sometimes used in a joking manner. While driving in Boston, we got lost and drove many miles in the wrong direction. Todd kept bothering me while I was studying, so I told him to get lost. Lisa joked that she wanted her sister to get lost forever. A big accident held up traffic on the highway for several hours. Deidre is amazed at how well her car has held up over the years. The young couple ran away and got married because their parents wouldn’t permit it. That cat is just like a criminal - it runs away from anyone who tries to come near! I’d like to watch a good movie on TV tonight, but a ton of homework rules that out. Jacquie is by far the most intelligent student in our class. This is by far the hottest, most humid summer we’ve had in years. A noun or pronoun must divide the idiom. We are going to the airport to see Peter off on his trip to Europe. When I left for Cincinnati on a business trip, no one came to the train station to send me off. 7. to see out: to accompany a person out of a house, building, etc. A noun or pronoun must again divide the idiom. The Johnsons were certain to see their guests out as each one left the party. Would you please see me out to the car? It’s very dark outside.